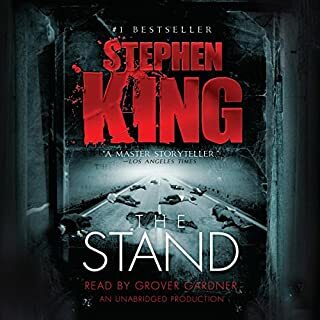 In this brilliantly conceived tour de force, Stephen King - who has absorbed the social, political, and popular culture of his generation more imaginatively and thoroughly than any other writer - takes listeners on an incredible journey into the past and the possibility of altering it. It begins with Jake Epping, a 35-year-old English teacher in Lisbon Falls, Maine, who makes extra money teaching GED classes. He asks his students to write about an event that changed their lives, and one essay blows him away: a gruesome, harrowing story about the night more than 50 years ago when Harry Dunning’s father came home and killed his mother, his sister, and his brother with a sledgehammer. Reading the essay is a watershed moment for Jake, his life - like Harry’s, like America’s in 1963 - turning on a dime. Not much later his friend Al, who owns the local diner, divulges a secret: his storeroom is a portal to the past, a particular day in 1958. And Al enlists Jake to take over the mission that has become his obsession - to prevent the Kennedy assassination. So begins Jake’s new life as George Amberson, in a different world - of Ike and JFK and Elvis, of big American cars and sock hops and cigarette smoke everywhere. From the dank little city of Derry, Maine (where there’s Dunning business to conduct), to the warmhearted small town of Jodie, Texas, where Jake falls dangerously in love, every turn is leading, eventually of course, to a troubled loner named Lee Harvey Oswald and to Dallas, where the past becomes heart-stoppingly suspenseful - and where history might not be history anymore. Time-travel has never been so believable. Or so terrifying. This month, I ran out of credits and was facing about two weeks without having a book to listen to in my car. I decided to look through my library of almost 200 books to see if I would see something I would re-listen to which I had never done before. 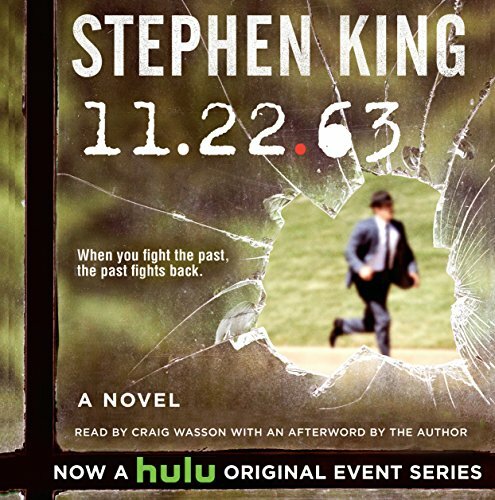 When I saw 11.22.63, I remembered how much I loved this book. Since I listened to it a long time ago I decided it would be the one to take me to my next credit. I enjoyed it just as much as the first time even though I remembered most of the storyline. Stephen King’s characters are so alive and real. I felt like I truly knew them and was visiting them once again. The characters were even more real because of the narrative perfection of Craig Wasson. Accents, genders, emotions, everything you’d want when listening to such an amazing story. It made me want to do something else I’ve never done before...choose a book based solely on the narrator. For anyone interested in an edge of your seat story involving time travel, romance and an exciting plot, get this book! Very few books have had me gripped right from the start like this one did. While it did get a little slow in the middle, I can see how it sets up important events later in the book. I have read that some people are disappointed with the ending, but I see no other way it could have ended, and am personally happy with how it wrapped up. 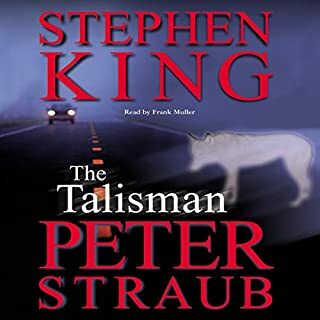 This was the first book I've listened to with Craig Wasson as a narrator, and he did an absolutely outstanding performance on this. It's right up there with the best that I've heard and he really captured emotions perfectly. This is very much worth a listen. I felt I was transported to the past. I could see it, feel it, smell it. didn't want it to end. great reader as well! voice sounded like it changed part way through. 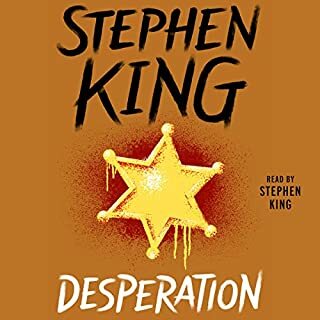 A little distracting, but very good audiobook! I love Stephen King’s writing. Makes a person think. Great story, everyone has some things they would love to change in the past, you never think things might turn out worse. wow amazing listen!!!! finished in 4 days! 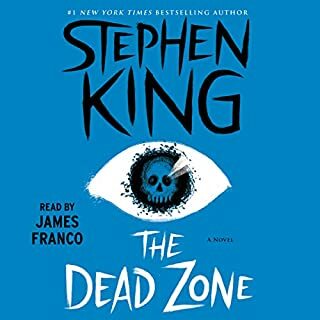 I was never a king fan until this year.... Ive devoured a bunch of his books and this one is 100% the best! The reader is amazing and I will be listening to more of his reads..... wow just wow.... give this book a listen!!!! 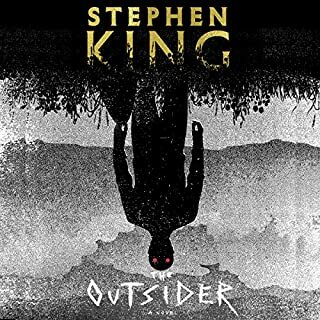 A fantastic spellbinding tale that grips you with real history, time travel, tie ins from his other novels and avid detail that makes you feel like you are really there...Stephen King truly is a master! 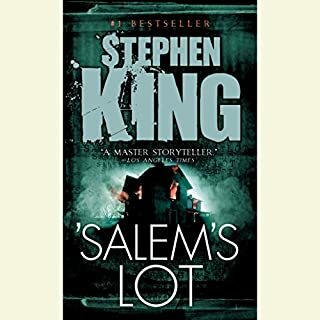 I have read or listened to most all of Stephen King's work and this one is at the top. Really well thought out and intriguing. I think Stephen King had fun throughout while creating this story. Craig Wasson's performance was just right for this story and he played all of the southern accents straight without overdoing it. Again - i really liked this one. I spend many hours commuting to and from work, I love to listen as I drive, and this book was just what I needed. 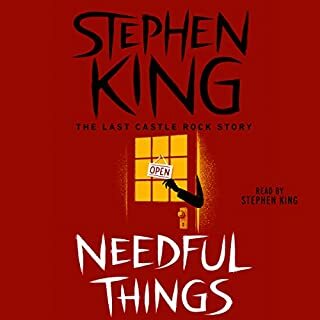 Stephen King could write about anything and my ears would melt. It's not so much what he writes as it is how he writes. 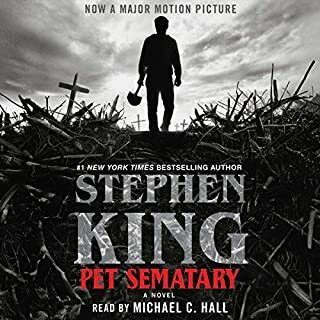 I did find the book interesting, but it was more the pure poetry that is Stephen King that kept me company on all those long early morning drives. Narrative was excellent but I didn’t like the story. It was too long and not enough happening I felt it would have more entertaining at half the length. What would have made 11-22-63 better? 1/4 the length. SOOO much filler writing that was not needed. 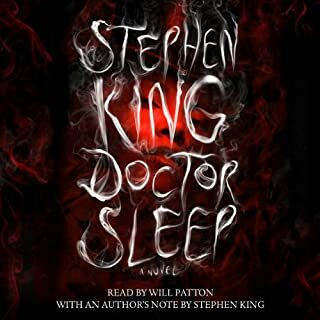 Would you ever listen to anything by Stephen King again? What three words best describe Craig Wasson’s voice? Makes a lot of the characters sound mentality disabled or like a stroke victim. I like time travel books. The reader made the 20 or so hours I listened tolerable. At this point I don't care what happens .... I've had enough endless details about nothing. I have never read a book that moved so slowly. If you like endless nothing going nowhere then this book is for you. I'm just bored with this one. 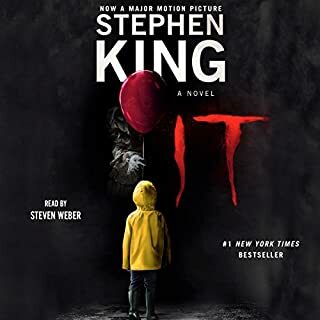 Would you try another book from Stephen King and/or Craig Wasson? I love Stephen King and will always read his books, because his track record is just so dependable. I wouldn't listen to another narration by Craig Wasson if you had a gun to my head. I would beg you to pull the trigger instead. Probably the most boring and drawn out of any story I've ever read by King. It has highlights in the beginning and the end, but boy does the middle carry on...and on...and on....and on. I feel as though they could've edited out about 16 hours of this story and you wouldn't miss a thing. 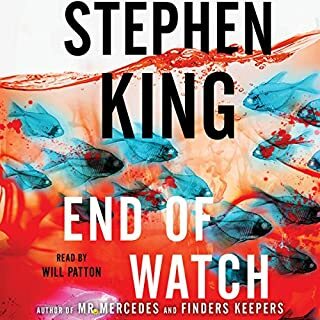 Usually King keeps the reader enthralled with a sense of impending doom or menace, or humor, or just something creepy. This book has that for the Derry section, and then completely loses it in Texas. The narration was among the worst I've ever heard. His accents and female voices made my skin crawl. Anything he did to sound southern made him sound like Darryl Hammond doing his Bill Clinton impersonation. Unbearable. I'm from Maine and he simply butchered the Maine accent (as most actors seem to do). 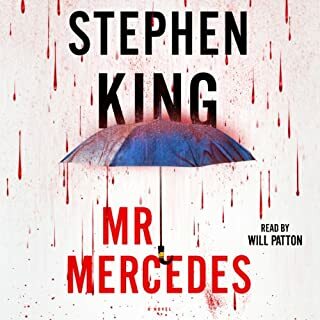 As soon as I started the audiobook I knew it was going to be hard to listen to. Just the wrong narrator for this story. Do you think 11-22-63 needs a follow-up book? Why or why not? No. Simply because I couldn't take any more. I think the idea was there, but once the thrill of time travel wears off the story loses all momentum and barely recovers it in the end. I found that I didn't care about anything related to the Texas section (which is 80% of the book!) - the story, the characters, the place. Ugh. Boooooooring. Pacing is really slow. King talks about the main character getting a car, having random conversations with people, wow look at how cheap everything is!, etc all in depth. It's a problem when you can literally delete huge chunks of chapters and not have it affect the story. This novel does not earn its length. I think King is lazy in the sense that he refuses to map out where his story will go or to edit down his novels. He takes weird pride in writing books that are as long as possible but they don't have enough plot to sustain them. King is SUPER overrated and all the overly inflated reviews just prove that. His writing ability hovers around James Patterson level and people act like he's one of the great writers of our generation. Nope. good book. but Stephen King needs to keep his political views to his self. The performance was phenomenal. Million dollar idea. 50 cent delivery. If this had been Stephen King's first manuscript? There wouldn't be a Stephen King. Put that idea in your time tunnel. What disappointed you about 11-22-63? I am on Chapter 8 and this has been the MOST BORING book I have ever listened to. The lengthy scene between the protagonist and the restaurant owner is so unnecessarily long and drawn out, and the dialogue so pedestrian, that I am actually giving up on it and exchanging it for something else. 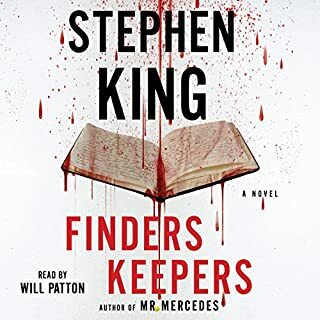 Stephen King seems to have forgotten that you need to hook your readers with SOMETHING right away---be it an interesting character, descriptions or plot. I am almost two hours into this book and I no longer feel honor bound to continue when I am bored. 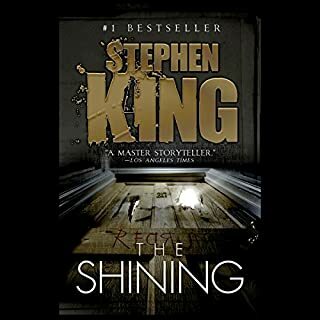 Gave it two stars in recognition of Stephen King's earlier works, which I have really enjoyed. This one is not even a blip on the radar. Perhaps something with more immediate interest, like....the phone book. Who would you have cast as narrator instead of Craig Wasson? Pedantic and Boring: Is Stephen King Slipping? 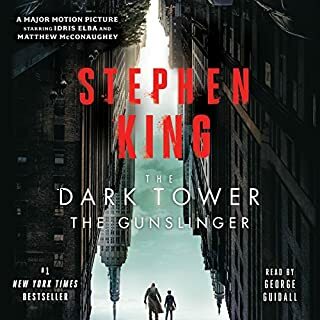 I have always been a Stephen King fan, when I was a child I loved "The Dark Tower" series and his more notable books such as "The Shining" and "Stand by Me." I chose this book because it combines three topics I really enjoy; Kennedy, history, and time travel. And I have to admit the history in this book is accurate and well researched. King does a masterful job of intertwining fact and fiction. However this book did not live up to expectation. The narrative was pedantic and boring. 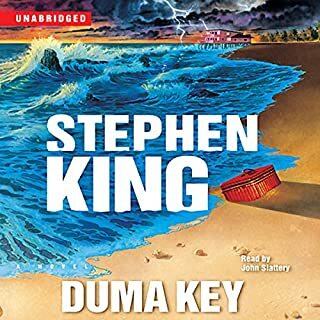 Throughout the book King wastes time describing meaningless background details or conveying irrelevant anecdotes that detract rather than add to the storyline. The anticlimactic ending leaves the reader frustrated and annoyed. Essentially the main character Jake (aka George) wastes 5 years of his life altering the past for the betterment of mankind only to discover that it was all for naught. The book progresses way to slowly. I continually had to fast forward through parts because so much time was wasted describing the setting. What makes the book even more monotonous is that each time there is an action sequence the reader is bombarded with frivolous details about the main character's thoughts/ feelings (or setting), which sidetracks the reader and ultimately undermines the climax of the event. Finally I did not like the narrator. There are some narrators that I like and some I don't and Craig Wasson is one I don't. I think this is a matter of personal preference more than anything else. I can't point to any specific flaw in Wasson's performance, his voice just didn't match the persona of the main character. For example, I am a big fan of George Guidall I find his voice pleasant and suitable to the characters he portrays. Finishing this book was a chore! Wow, not sure if I read the same book as all the other 5 star reviewers? This book could have been 1/3 shorter than it is. It was utterly boring in many sections, overflowing with useless details. 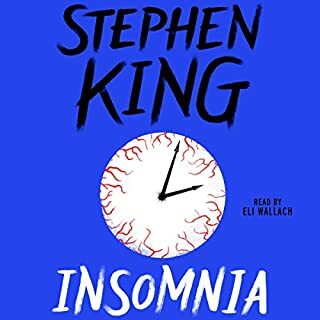 Also, King interjects a great deal of politically liberal ideology which serves only to distract the reader's attention away from the boring story. 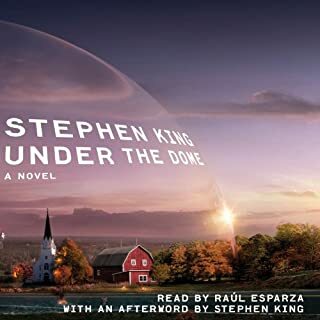 My wife and I ended up getting through 20 hours of this book over a 5 month span, then we fast forwarded 5 hours ahead in the book and listened to the final 5 hours. Ultimately, it was worth finishing... but just barely. Stayed with it for about an hour, but just could not go further. Had a large problem with the editing and narration.